Bryan Garner's Usage Tip: bend > bent > bent. Your daily usage tip hot off the press. bend > bent > bent. “A teammate dummied a run over the ball, and then Mikacenic hit a right-footed shot—Lakeside’s first of the game—that bended [read bent] up and around Mount Rainier’s four-player wall and into the far-post side netting.” Melanie Brennan, “Girls Soccer: Lakeside Ousts Mount Rainier,” Seattle Times, 22 Nov. 1997, at B7. “He rolled and bended [read bent] the wrist to prove its mobility and strength.” Paul Grondahl, “Racing Form,” Times Union (Albany), 26 July 1998, at T2. “Lest anyone accuse my little one of being partisan, she might well have copied Hillary Clinton’s Democratic National Convention address if we had bended [read bent] the bedtime rule to allow her to stay up to watch it.” Jennifer Wheary, “Copying the ‘Can-Do’ Sarah Palin,” Newsday (N.Y.), 8 Sept. 2008, at A29. But in soccer, bended is the accepted past-tense and part-participial form of bend (= to kick a ball with enough spin to make it curve)—e.g. : “[Keenan] Seguancia bended his free kick to the edge of the 6-yard box and [Leslie] Nwapa got past the defense and knocked it in.” Kyle Sakamoto, “Roosevelt 2, Àiea 1,” Honolulu Advertiser, 25 Jan. 2008, at D2. Invest in yourself with a webinar with Bryan Garner. Join us for Garner online this fall. 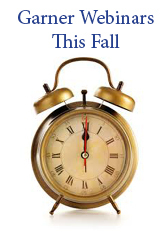 Bryan Garner's Writing Seminars: Come see what Garner has to offer at www.lawprose.org. For profiles of Garner, check out the D Magazine, The New Yorker, and Dallas News. 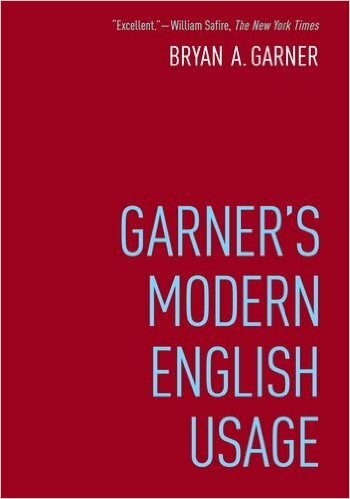 View the new Garner's Modern English Usage and other Garner books here. For a guide to the Language-Change Index, click here. 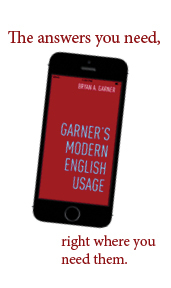 Never miss a tweet from Garner on Twitter. Follow @BryanAGarner. Watch Bryan Garner's YouTube videos. By subscribing to this service, you agree to notifications of Bryan Garner's seminars. Copyright © 2016 LawProse, All rights reserved.